Outraged by her grandfather’s illicit affair with Empire Pictures’ latest femme fatale, Roxanne Granville forsakes her position as Hollywood royalty and rejects the man who raised her, determined to strike out on her own. Backed by little more than the stubborn grit she inherited from her beloved grandmother, Roxanne sets up shop as a low-budget film agent for budding screenwriters. When an old friend, exiled from Hollywood and Empire Pictures by her grandfather for being a Communist sympathizer, begs for her help, Roxanne decides to right the wrongs committed by her family by selling his script under someone else’s name. After all, it’s what her grandmother would have wanted. Soon Roxanne finds herself at the helm of a lucrative business, having landed her secret clients a handful of major studio deals through willing front men. Her newfound freedom leads her to a passionate relationship with Terrence Dexter, an African American journalist and jazz aficionado. But Hollywood is ruthless when it senses a scandal. How long will it take before all of Roxanne’s success comes crumbling down? 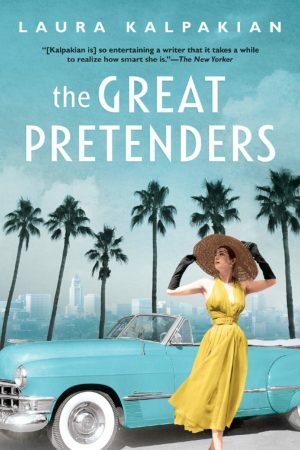 Certainly appealing to fans of classic Hollywood and readers of Melanie Benjamin, Fiona Davis, and Beatriz Williams, THE GREAT PRETENDERS is a riveting novel that resonates in today’s world, and reminds us that some things are worth fighting for. Laura Kalpakian has won a National Endowment for the Arts Fellowship, a Pushcart Prize, the Pacific Northwest Booksellers’ Award (twice), the Anahid Award for an American writer of Armenian descent, the PEN West Award, and the Stand International Short Fiction Competition. She has had residencies at the Virginia Center for the Creative Arts, the Montalvo Center for the Arts, and Hawthornden Castle in Scotland. 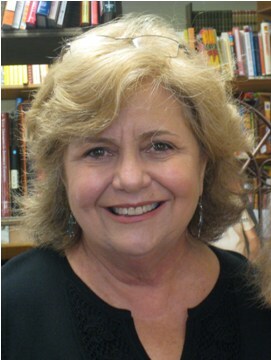 She is the author of multiple novels and over a hundred stories published in collections, anthologies, literary journals and magazines in the U.S. and the U.K. A native of California, Laura lives in the Pacific Northwest. Visit her online at www.laurakalpakian.com and on Twitter @LauraKalpakian.